FFA - Wells Fargo’s sponsorship empowered GLAAD to censor Duck Dynasty’s Phil Robertson. After A&E said they would allow Phil Robertson to return to the show GLAAD continued to be at odds with Duck Dynasty. The Los Angeles Times reports “GLAAD is not pleased with A&E's decision reversing the suspension of Phil Robertson from "Duck Dynasty." Where does GLAAD get the power to singlehandedly remove the lead character from the most popular network program? 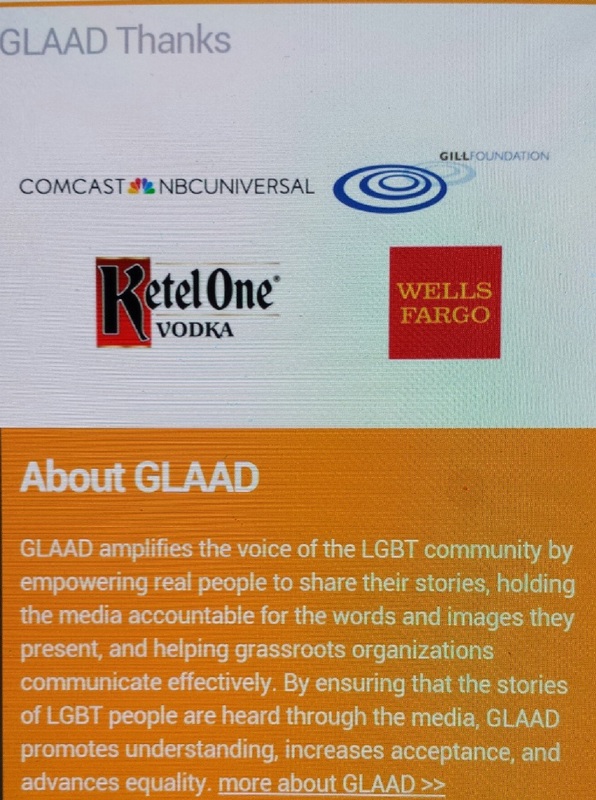 One major source is Wells Fargo's sponsorship of GLAAD. 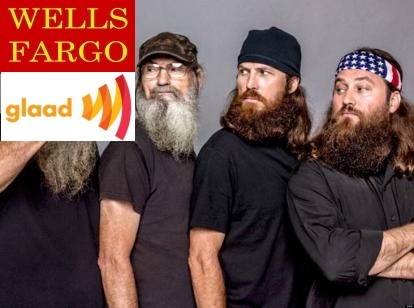 Wells Fargo’s sponsorship was prominently posted on the GLAAD website during the time that this organization caused A&E to remove Phil Robertson from Duck Dynasty. Wells Fargo’s logo continues to boast support for this organization which continues to disagree with Duck Dynasty. Wells Fargo, a bank that profits from all walks of life, empowered GLAAD to attack Phil Robertson of Duck Dynasty for biblically based beliefs that are shared by millions of Americans. Florida Family Association has prepared an email for you to send through our server to communicate concern regarding Wells Fargo’s sponsorship of GLAAD whose efforts censored Phil Robertson. Email blocked to the public.